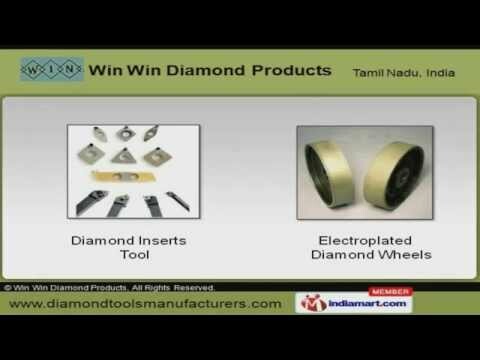 Welcome to Win Win Diamond Products, Manufacturer of High Quality Cutting Tools. The company was established in the year 2002. Our qualified engineers and sophisticated machinery help us to achieve a present repute in the market. Maximized client satisfaction, Competitive rates and Timely delivery make us the first choice of our clients. We offer a vast range of Diamond Inserts, Cutting Tool and Wheels. Our Electroplated Diamond Wheels are best in the industry amongst others. Diamond Cutting Tool offered by us are extremely reliable. Our Diamond Cutting Wheels are widely appreciated in the market. We also provide Cutting Tools that are available at industry leading prices. Along with that we offer Diamond Cut Off Wheels that are a class apart.